As a Chartered Surveyor, and as a Lettings Agent, we advocate the professional responsibilities of our trade. The Royal Institution of Chartered Surveyors (RICS) is the leading source of property, land, construction and related environmental knowledge. David Potter FRICS has been a qualified Chartered Surveyor since 1976, and carries out surveys and valuations on properties for purchase, probate, matrimonial and shared-ownership. mydeposits is a government-authorised tenancy deposit protection scheme. It is designed to enable landlords and letting agents in England and Wales to take and hold a deposit for the duration of the tenancy. 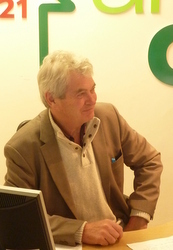 Michael Potter runs the Residential Lettings at Potter and Co Lettings. We resolve complaints from consumers about chartered surveying firms, surveyors, estate agents, residential managing agents, letting agents and other property professionals. Appointed by the Royal Institution of Chartered Surveyors (RICS) as the ombudsman for chartered surveyors, we are also approved by the Office of Fair Trading (OFT).